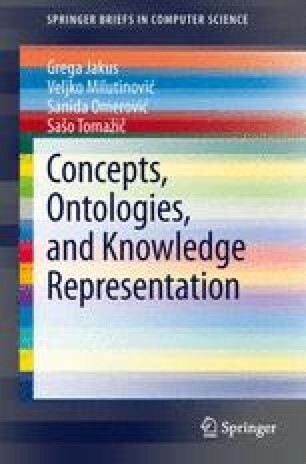 In the past, the field of knowledge representation already exceeded the academic and research spheres and emerged in practical use as well. Moreover, it also extended beyond the field of its origin, i.e. artificial intelligence, into other fields of computer science. One of the important factors that stimulated the thriving of ontologies in particular was World Wide Web, especially its recent evolution, the so-called Semantic Web. The idea of Semantic Web is consistent with some of the basic goals of knowledge representation. The vision of Semantic Web is to enable semantic interoperability and machine interpretability of data sets from various sources and to provide the mechanisms that enable such data to be used to support the user in an automated and intelligent way.